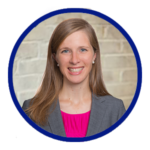 Megan Coder, PharmD, MBA, is Executive Director of the Digital Therapeutics Alliance. DTA’s mission is to broaden the understanding, adoption, and integration of clinically-validated digital therapeutic solutions into mainstream healthcare through education, advocacy, and research. With more than a decade of experience in the healthcare industry, Megan’s expertise extends from strategic growth and partnership development within the digital health sector, to the direct delivery of patient care. Prior to joining DTA, Megan worked with Voluntis, Iodine, the Pharmaceutical Care Management Association, and the Pharmacy Technician Certification Board. A proud Badger, Megan graduated from the University of Wisconsin—Madison School of Pharmacy and completed an Executive Residency in Association Management & Leadership with the American Pharmacists Association.